I am talking about great songs that are often overlooked. We are talking about personal favorites that you wouldn’t rate among the artists top 20 (maybe), but deserve more praise and recognition than they get. These are songs which takes its programming from non-single album tracks, B-sides, and other obscure songs. While we were dissecting the Bob Dylan classics, other good songs fades into the background, and crucially, these tracks will help Dylan fans to discover “the whole story”. As a Bob Dylan music fan, I have a responsibility to help introduce fellow Dylanologists to my own musical discoveries, particularly when they draw attention to forgotten brilliance. Bob Dylan has a vast catalog that contain some “hidden” songs that his biggest fans know by heart just as much. For every one of his songs that turned into classics, there are other essentials scattered through his production. But let’s face it: there’s no such thing as a “buried treasure” in the Bob Dylan catalogue. How can there be? This is the most over-analyzed artist in the music history. Most of what he has recorded are readily available in the form of an official CD/LP/Stream and more material are becoming available each year. So, these are songs that the hardened Dylan fan knows but are often overlooked by casual listeners. These are tracks that people at large might not know very well. So what are these lists all about (there will be six of them)? They are a collection of 10 tracks per decade, as chosen by me (Hallgeir), which you may not hear enough. Lists of fantastic stuff by an artist that has made a lot of great “unknown” stuff, but material that doesn’t get heavy rotation on the radio or the streaming services. 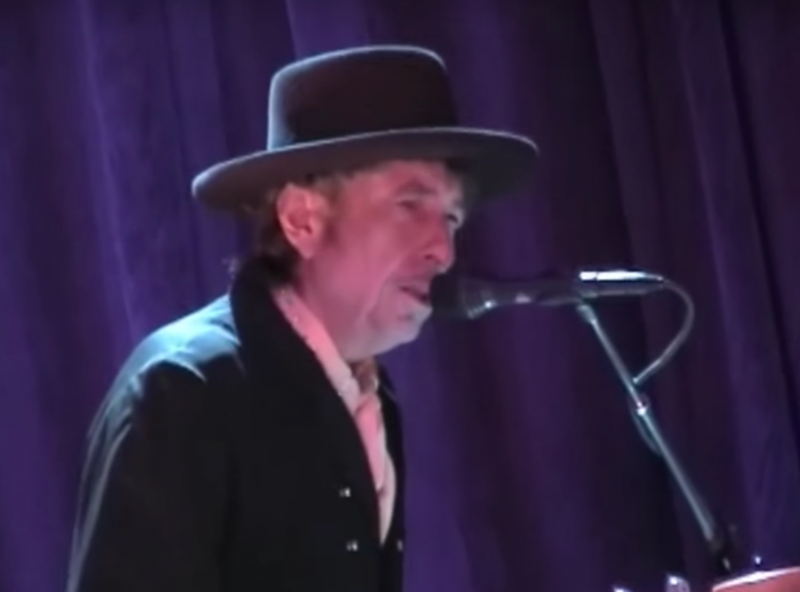 So with that in mind, and in celebration of the eternal hunt for lesser known genus, here are ten great overlooked songs recorded, but not necessarily written, by Bob Dylan from 2000-2010s. There will follow a post for all of his decades as a recording artist. The songs are included in the decade they were released. I’m glad you picked 2 songs from Together Through Life. I play this album more than any of his recent ones. Red River Shore (way high among my faves), Marchin’ To The City, Can’t Escape From You, Life Is Hard (do you see a theme to these?). Maybe even The Christmas Blues. … I echo the above sentiments: Great ideas on a delightful website. Has Bob ever acknowledged you guys and what you do? Hehe, thank you, but no, I don’t think Dylan knows that we exist (or care if we do) and that’s ok. We just love his music. …great choices by the way. Who’s overlooking these songs? Bob fans know all these songs through buying the records and/or attending the NET. OK H understood sorry if I was too dismissive. I understand your approach now. Thanks for the kind words, always appreciated.